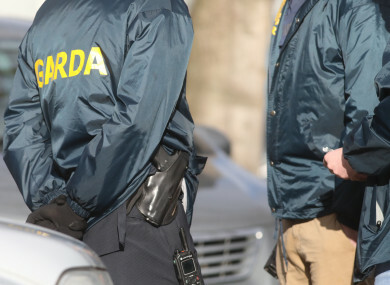 SPECIALIST UNITS WITHIN An Garda Síochána have been authorised to carry out covert surveillance on a number of potential gangland flashpoints this weekend after a ban on overtime was temporarily lifted, TheJournal.ie has learned. It is understood that tight security will be in place at a boxing event at Citywest on Saturday which will feature five fighters from the formerly Kinahan-linked MTK boxing promotion company. Following the recent murders of Derek Hutch and Jason ‘Buda’ Molyneux and last weekend’s shooting at the National Boxing Stadium in Dublin – which injured a convicted criminal and an innocent bystander – specialist units have been authorised to conduct surveillance of a number of areas. Armed patrols will be in place around usual hotspots such as, in the north of the city, Sean McDermott Street, Buckingham Street and Summerhill and, in the west, areas like Crumlin and the Liberties. Saturday’s boxing event is not being run by MTK but the promotion company has a number of fighters on the card. This is the first time MTK-managed fighters have boxed in Dublin since the Regency Hotel attack in February 2016. There is no suggestion that any fighters on the card or anyone involved in running the promotion company are involved in criminality. And while there is no intelligence to suggest that the event could be targeted, gardaí are taking every precaution. MTK was part-founded by Daniel Kinahan four years ago with three businessmen – none of whom are involved in criminality. Kinahan is no longer involved with day-to-day operation of the business. Gardaí are still investigating the motives behind the two recent killings. While the shooting of Hutch near Wheatfield Prison last month may have links to the ongoing Kinahan-Hutch feud, it is thought that the murder of Molyneux on Tuesday night may be linked to crime in the Ballymun area. Meanwhile, the Regency Hotel murder trial is back in session tomorrow. It is expected that the three-judge Special Criminal Court will submit its decision on allegations that Patrick Hutch was the man dressed as a woman at the Regency shooting. The ongoing trial, combined with the recent spate of shootings and the appearance of the MTK fighters at the Citywest event, represents a logistical headache for gardaí. However, Garda management is understood to have loosened the purse strings on the overtime budget – which will allow an increased number of armed officers to be on duty in the capital over the coming weeks. There has been building frustration within elite units of the force since the start of the year, as an overtime ban was brought in. Dublin’s north inner city, which was the site of much of the Kinahan/Hutch violence, was one of the areas most seriously affected by the cuts. The ban on overtime meant that officers who wanted to coordinate searches of homes were not able to do so, because the operations needed to be carried out when different shifts overlapped. The restoration of overtime means raids like this can now take place again. Email “Covert Garda units to patrol Dublin boxing event this weekend in wake of murders”. Feedback on “Covert Garda units to patrol Dublin boxing event this weekend in wake of murders”.